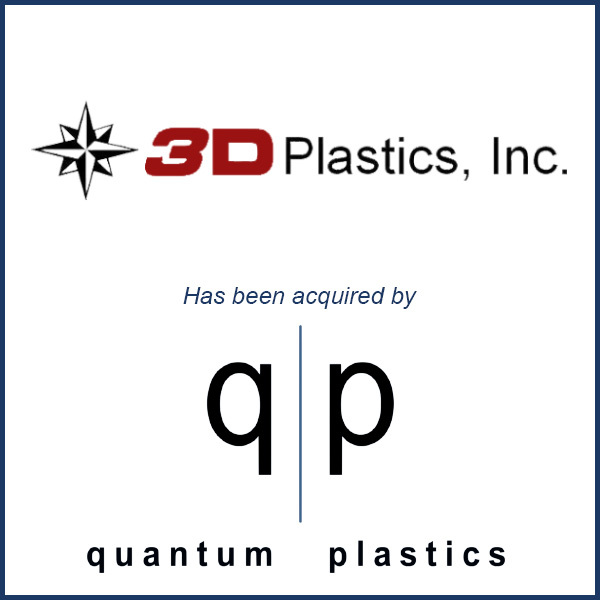 Gladewater, TX – March 2016 – Quantum Plastics LLC of Elgin, IL has acquired 3D Plastics, Inc. of Gladewater, TX. 3D Plastics is a custom injection molder and blow molder that currently manufactures seat belt parts, firearm ammunition components and other plastic parts for the automotive and food/beverage industries. It has a committed management team and a solid reputation for manufacturing high quality parts. 3D’s Texas location was a key attraction and will allow Quantum to expand its North American Footprint. Molding Business Services served as the advisor to 3D Plastics in connection with the March 2016 sale to Quantum Plastics. To see the official press release from Quantum Plastics, click here.